We design with integrity so you can manufacture with confidence. Product development from concept to production. We offer product development services to commercial sector clients across Canada and the United States. We would welcome your invitation to a project and our involvement from its commencement but we can also become involved after the project has begun. If you require assistance with completing your project, we would be excited to help you bring the project to completion. If you are short-staffed, we can help you so that your project remains on schedule and continues with the integrity your customers have come to expect. If there are unresolved dysfunctions in your design, let us review the design for you and provide resolution. Yes, we can also bring your design to completion. Methods Technologies Services is a privately owned Canadian company with its office located centrally in Winnipeg. The company is a registered micro business capable of adapting immediately to the unique needs of each client. We understand business and the impact that product development and manufacturing costs impose on profit margins. Through this understanding we apply product development cost structure to everything we develop. And with over 35 years of industry and aerospace experience, we INNOVATE. Basically put, our goal is to provide you with the necessary support so that you can develop and manufacture your products easily. We will do all the hard work. Our vision is to deliver our services like no other. It is our passion to be at the leading edge of technology, project delivery, and client satisfaction. Our values about which we are passionate are reflected in our Mission Statement. 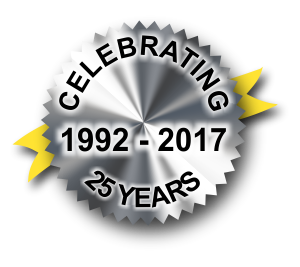 We are proud to be celebrating our 25th Anniversary. To know more about us, click on the links below.